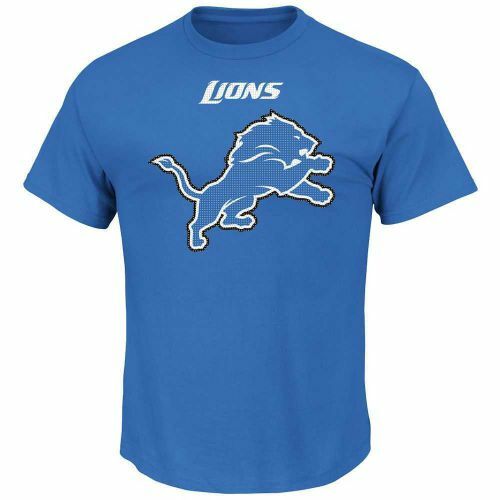 Detroit Lions newborn, infant, toddler, pre-school and girls size 16 and boys size 20. Newborn Proud Fan Romper; 3 pack girl's and boy's bodysuits; infant, toddler, and child's full zip sweatshirt; girl's toddler cheerleader or dream shirt; boy's 3 in 1 combo shirt set; youth t-shirt and headwear. Lions women's Defiant Victory V neck t-shirt; men's short sleeve t-shirts; men's hooded pullover and full zip sweatshirts; hats, caps and beanie. 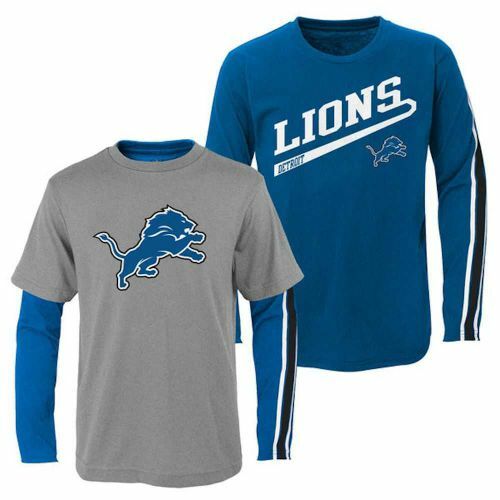 Detroit Lions newborn and infant long sleeve bodysuit set; toddler and pre school boys 3 in 1 shirt combo; and toddler stacked track set includes jacket and pants. Service Area: Shawano, Oshkosh, Appleton, De Pere, Wausau, New London, Antigo, Clintonville, Little Chute, Pulaski, Seymour and surrounding communities.